3rd-strike.com | Tom Clancy’s The Division 2 – First update after launch has arrived! Tom Clancy’s The Division 2 – First update after launch has arrived! Good news for the Tom Clancy’s The Division 2 players! The first update after launch has arrived! The update is called Invasion: Battle for D.C and will include Tidal Basin and later also a brand new Raid called Operation Dark Hours. A new Specialisation will also be coming soon in future updates. Tidal Basin is a new Stronghold from the Black Tusk Faction. It will have incredibly strong enemies that won’t go down so easily. After taking over this Stronghold, players will be able to up their gear scores to 450-500 thanks to World Tier 5. Besides the ability to get higher gear scores, World Tier 5 will also introduce weekly invasions where you will have to take areas back from the Black Tusk. There will also be two new weapons, three gear sets, outfits, masks, weapon skins, a new difficulty called Heroic and a new PVP map: Fort McNair. The new raid, Operation Dark Hours, will be the first raid for 8 players in the series and will be available from 25th April. More content will be available for free in the future, Episode 1, D.C. Outskirts: Expeditions in the summer of 2019, Episode 2: Pentagon: The last Castle in the fall of 2019 and then Episode 3 in the winter of 2019. Tom Clancy’s The Division 2 is already available on Xbox One, PS4, and PC. 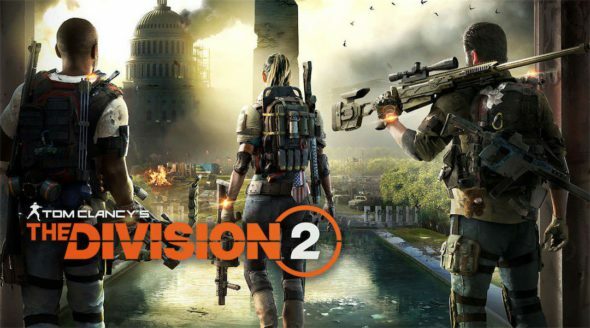 We already reviewed Tom Clancy’s The Division 2 which you can check out here.